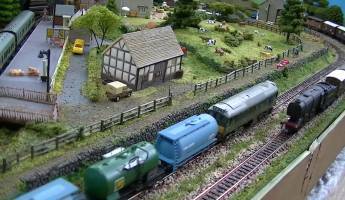 In 2016 this informal event was very popular, especially with the children who could have a go at running trains or racing slot cars. 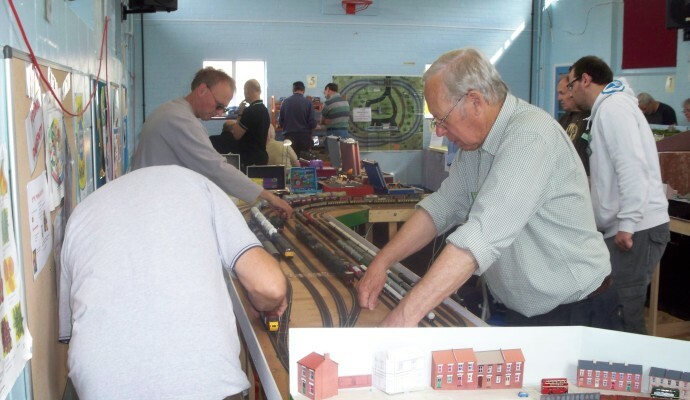 Consequently after an internal of eighteen months, the Club held another Open Day on Saturday 7th April 2018, showcasing our layout and model building activities and with our 'running layout', Carfax Junction, in operation. 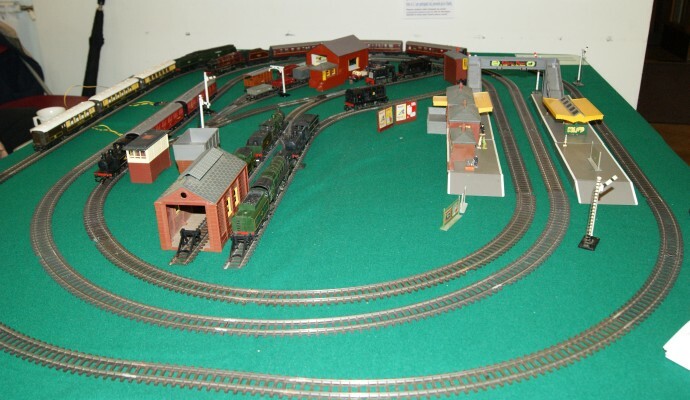 Children and the 'young at heart' tried their hands at the 'have a go' layout and racing slot cars over a challenging circuit. 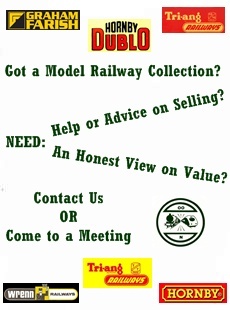 The Refreshments on offer were popular and sales of second-hand stall locomotives, other rolling stock and model railway accessories far exceede expectations. 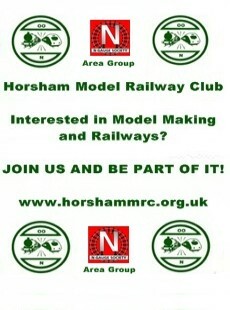 We are very likely to repeat this informal event in the future. 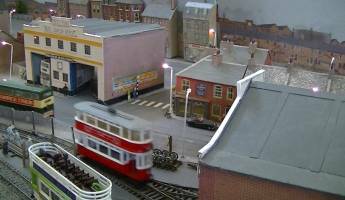 As a more informal event than the annual exhibition, the Club held an Open Day on Saturday 22nd October 2016, showcasing our layout and model building activities and with our 'running layout', Carfax Junction, in operation. 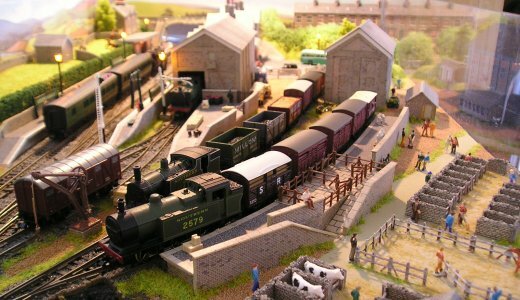 Children and the 'young at heart' had a go at running trains or racing slot cars, a new attraction which was very popular. Refreshments including cakes and hot and cold drinks were available throughout the day and the second-hand stall did a good trade. 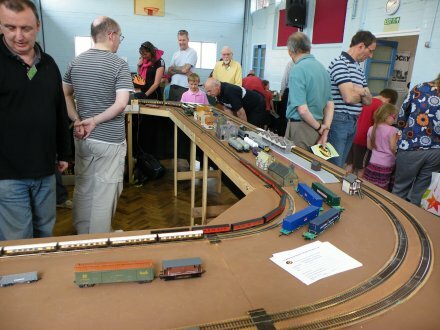 The Club's Open Day, held at St Leonard's Church Hall on 27th April, was a popular event with more visitors than in 2012. 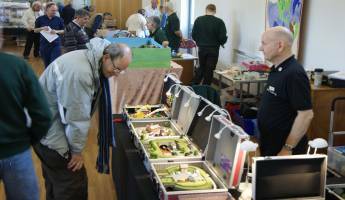 It combined the usual mix of Club and members' layouts with invited guests from other clubs and a selection of traders. 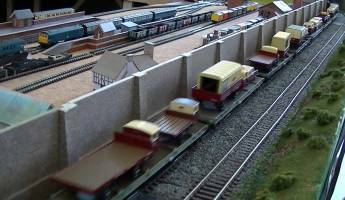 Layouts in N, HO, OO, On30 and O gauges provided a variety of action as did the working buses and lorries on Mahala Town. 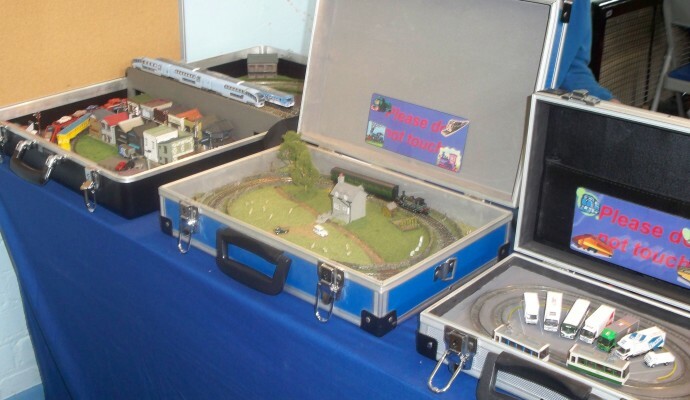 Ian Redman displayed an updated collection of briefcase and lunch box layouts which was the focus of attention for many. 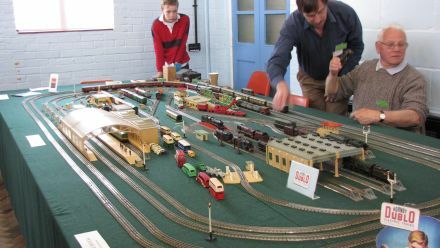 Families with small children were much in evidence and the Burgess Hill Club's hump shunting layout provided a different challenge to visitors young and 'young at heart'. 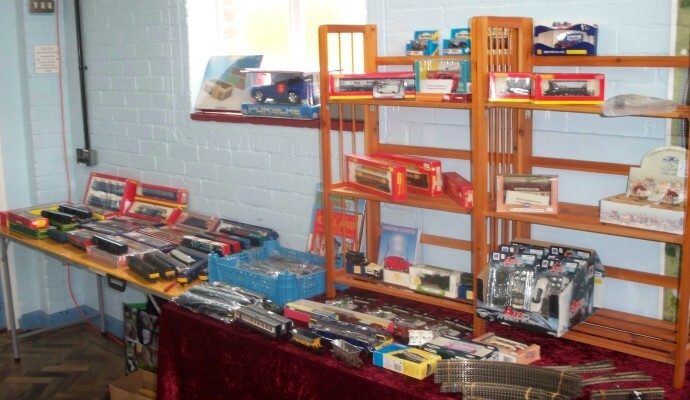 As usual, the secondhand sales stands did brisk business as bargains were snapped up. 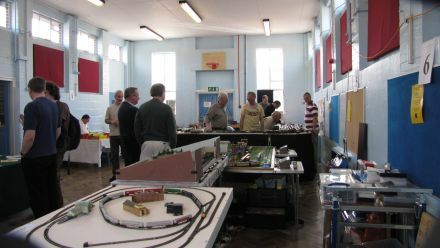 The Club's Open Day on 28th April, the first at St Leonard's Church Hall, was a great success. 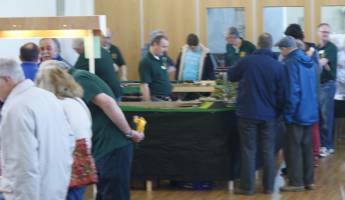 This year's larger venue allowed us to combine 10 layout stands with with a variety of traders and a dedicated refreshment area. 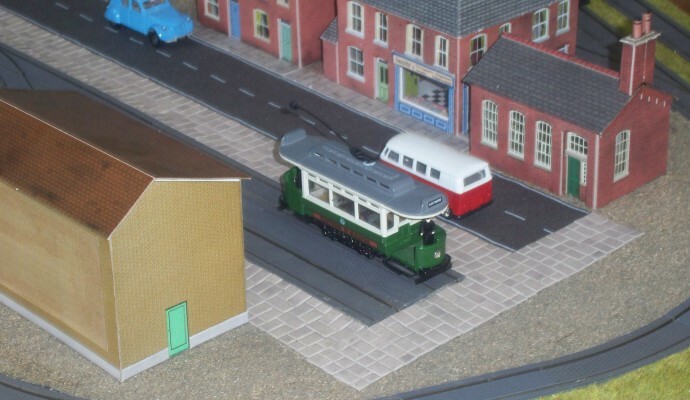 The layouts included Carfax Junction, Thomas in N, OO and G gauges and Ian Redman's fine collection of N gauge layouts in briefcases, lunch boxes and CD cases. 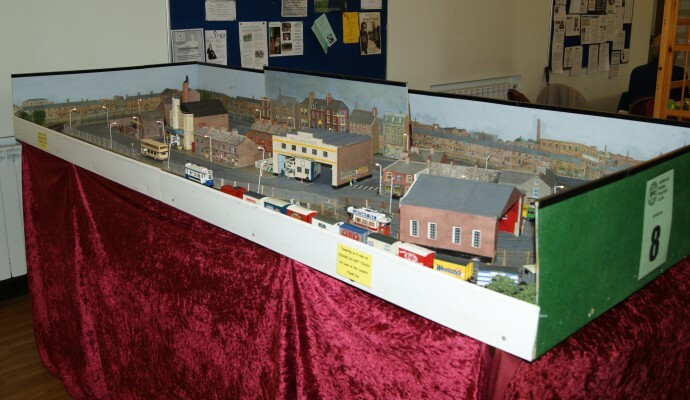 A 'train set' running a collection of Tri-ang models from the 1950s and 1960s was on display and Mahala Town, a layout with working buses and lorries, fascinated many visitors. 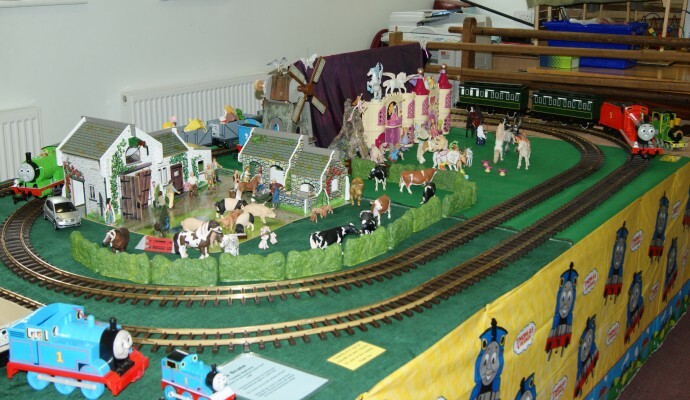 We also had guest layouts from the Brighton, Sompting and Uckfield clubs. 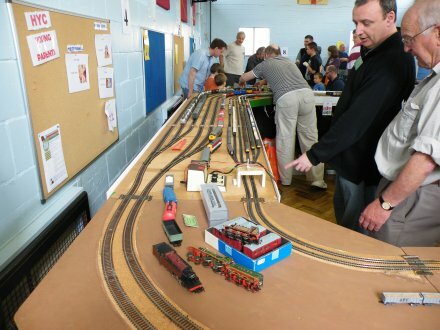 It was encouraging to see so many families with small children and the Club has been able to recruit new members as a result of the interest shown on the day. 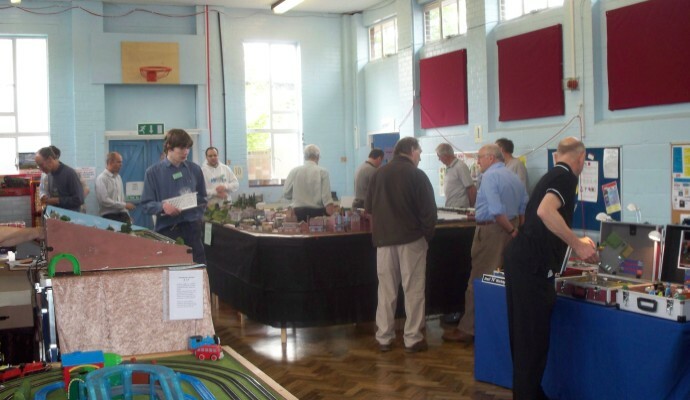 In 2011, the Club's Open Day was held on 7th May with many of the same layouts as the previous year including Carfax Junction, the Club's dual gauge test track which now been enhanced with a number of scenery modules. 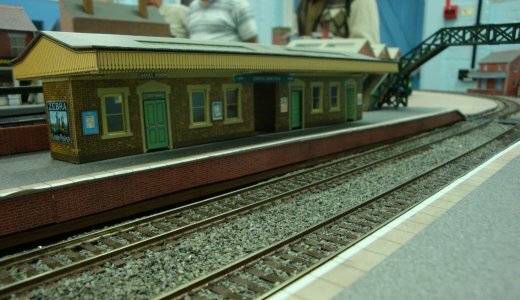 A notable addition was Ian Redman's 'Small N Working' collection of layouts in briefcases, lunch boxes, CD cases and even a coconut shell! 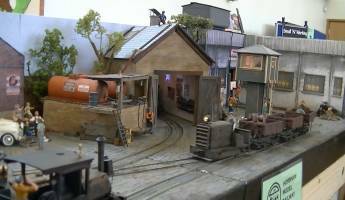 Club members' layouts, Road Hill, Thomas and TramWorld were also on show supplemented by a number of invited layouts. 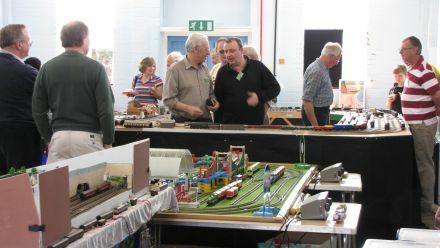 The Club held its first Open Day on 24th April 2010 which showcased the Club's and members' layouts and included a 1960's Hornby Dublo layout and a secondhand models stall. 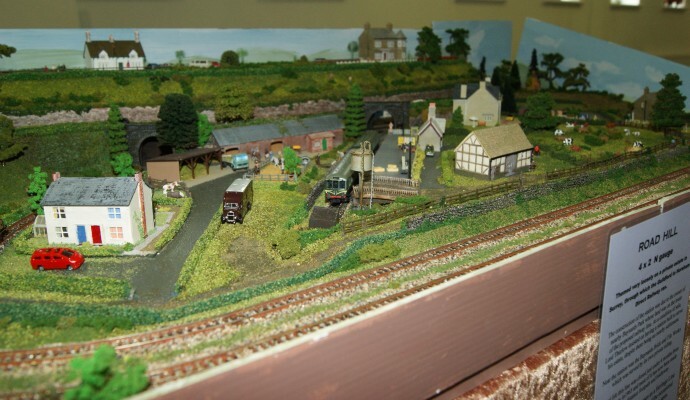 Members of the public were encouraged to bring their own models to run on the Club's dual gauge modular layout and the Thomas the Tank Engine themed layout proved popular with the young visitors. 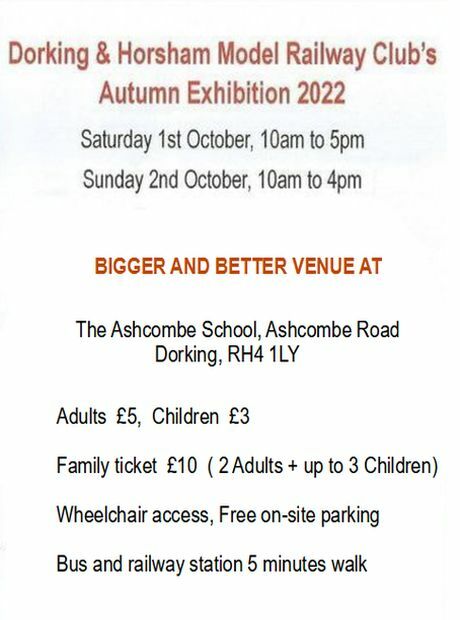 There was a very encouraging level of attendance for the Open Day which resulted in a number of new members for the Club.